For an amateur SEO professional, it is a Herculean task to demonstrate the various ways of ranking a website in the search engine results pages! In a domain that is dynamic and complex, it is imperative that you get updated on different areas thoroughly. A compact SEO plan is effective only when all the initiatives are directed dedicatedly to enhancing the quality and feel of a site or a brand’s online presence with a long-term perspective in mind. Search Engine Optimization has proven to be one of the most potent marketing channels for brands and online businesses. That is because it mainly aims to get connected with individuals who need a particular service, information, program or a product via search. Whenever Google changes or updates its search algorithms, companies are compelled to adjust their SEO strategy in a way that it remains aligned with the business objective. If you want the best tactics for your company, these five useful SEO techniques will work in your favor in 2018. Keyword research is an SEO primer, and it is necessary even today. Also, as Google’s Knowledge Graph and semantic search evolve, keyword research has to become advanced too. Semantic search enables Google to have a clear understanding of your searches, irrespective of the way the keyword is phrased. The system is not perfect yet, but it is improving with every passing day. Since Google reads “keyword research” and “keyword analysis” alike, most businesses fixate on a “parent topic” when it comes to creating content to add the keywords. Experts say it is crucial for companies to opt fordetailed coverage in matters of keywords. As more market players are diving in the online space and the existing ones are publishing new content, it is becoming tough to convince Google that your content is superlative, when it is not. There are multiple ways that the search engine evaluates content quality. One such medium is Latent Semantic Indexing. By crawling through several terms and pages that are used in content, Google gets to know which words are relevant as opposed to the ones that are not. The process helps Google to understand which page content is useful and comprehensive. By resorting to its satisfaction metrics known as RankBrain, Google gets to assess the best search results and look for affinities between them. So, what can individuals and companies do here? The smart solution is to study the best ranking pages of a selected segment. However, this cannot be done manually for every term. That is where frameworks like WebSite Auditor and the TF-IDF tool comes handy. 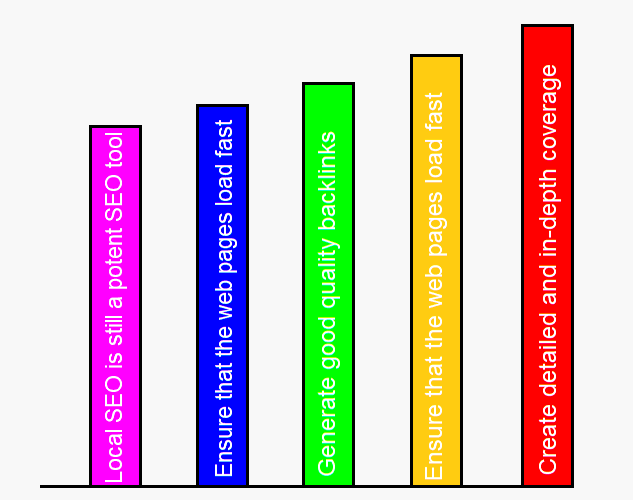 If you want to get favorable rankings, it is critical for you to build quality backlinks. Without a robust backlink profile, your site will forever struggle to reach the top of the SERPs. Over the years, the technique of creating backlinks has evolved significantly. Marketers have tried everything from PBN to guest blogging and a myriad of other methods for generating links that will yield the favorable results. However, due to Google’s strict rules on the matter, low-quality links built through spammed blog comments and paid methods have no positive impact, and such attempts can affect your website and its rankings adversely. So, it makes sense to invest effort in generating quality backlinks that are relevant to your niche. Today it is more crucial than ever that your website speed is impressive. 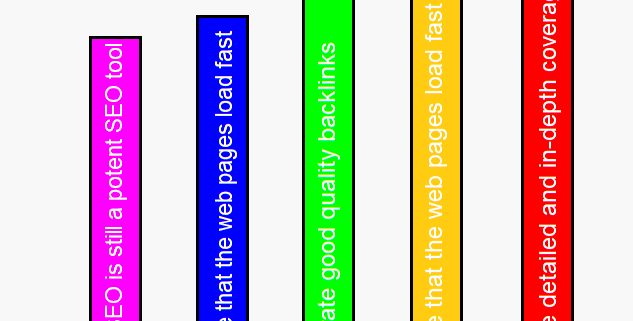 Most studies highlight that websites that take more than 3 to 4 seconds to load, do not appeal to the online visitors. Users do not wait around forever for a site to load and they bounce on to the next option faster than you can blink. Google Analytics, Site Speed Page Timings, and other similar tools can help you to enhance your website speed. If you own a local store or establishment, make sure that you get a systematic local SEO done and have your business listed. Local SEO till date is effective in getting you high ranks especially in geographical searches. Maximizing SEO is a patience game. Brands and individuals will have to wait it out. The significant and favorable changes resulting in high traffic will not occur overnight. Consistent SEO initiatives based on the latest trends is what will work. So if you want to increase website traffic, make use of these SEO techniques for 2018 and considerably add to your online prominence. Author Bio: Derek Iwasiuk is an SEO specialist, and he works as a freelance SEO professional. He keeps herself updated on various SEO tactics including PBN, link building, content promotion and much more. He also writes on different SEO trends.